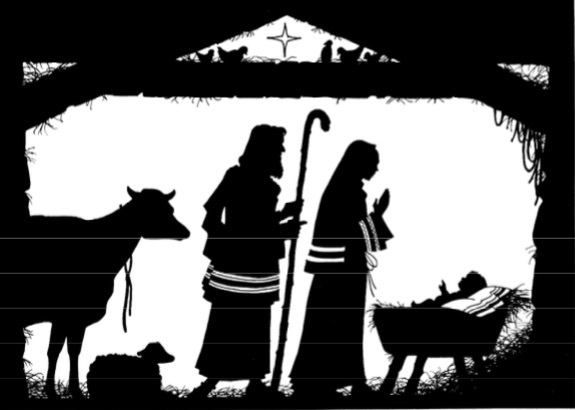 It’s all about the Baby – He’s the reason for the season! You can download our 3 churches newsletter for Christmas Day and the New Year below. 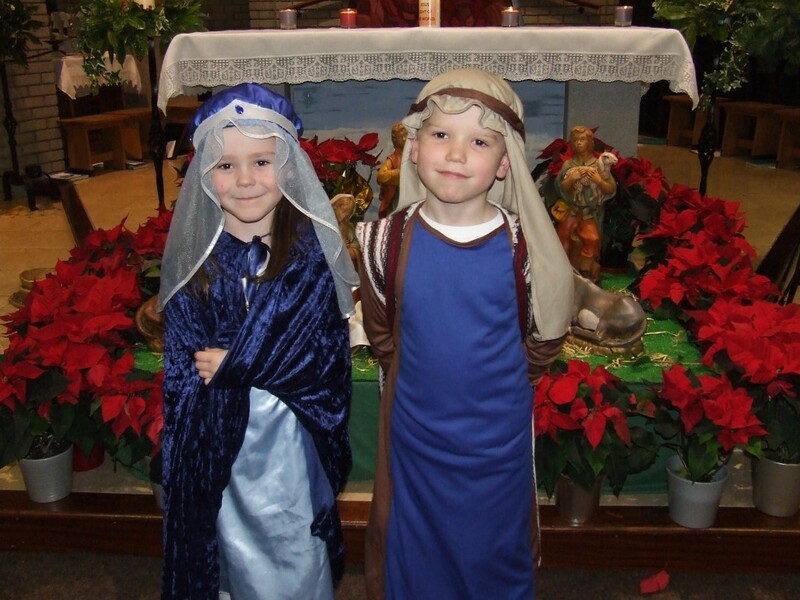 A young Mary and Joseph stand in front of the crib at the Christmas Eve family mass in Christ the King. If you have any other photos of our Christmas events why not share them on our 3 churches facebook page? Fr Matthew and Fr Tomy wish all our parishioners, friends and readers a very Happy and peaceful Christmas, and a blessed New Year. Lord God, enlarge our hearts with love for you. Make us capable of saying ‘Yes’ to you, as Mary did. accept with trust the changes you call upon us to make; embrace with confidence the destiny you place before us, and eagerly walk new paths with your Son. may welcome you this Christmas time.